The splendour of Angkor and the sprawling network of temples that dotted the Khmer Empire were underpinned by a well-established international network of trade and diplomacy. At the height of its power, the Khmer Empire was part an intricate network of international connections that enmeshed neighbouring kingdoms in present-day Vietnam, Thailand, Indonesia and Malaysia as well as states further afield in India and China. Thanks to its extensive water management system, Angkor was a highly efficient agrarian state that served as a rice bowl for wider Southeast Asia. Goods travelled through an interconnected system of overland, riverine and maritime routes that had Angkor as its centre. Much of what we know about the Khmer Empire has been drawn from observations made by Zhou Daguan, a Chinese official dispatched to Angkor by the Temur Emperor. Yet, this was not a new relationship as Zhou identified large groups of well-established Chinese merchants in Angkor. For Chinese traders in particular, the Khmer Empire was a lucrative destination where a range of products could be purchased. Explore the video below and read Zhou Daguan’s account of the Khmer economy before answering the following questions. The local people who know how to trade are all women. So when a Chinese goes to this country, the first thing he must do is take in a woman, partly in a view to profiting from her trading abilities. There is a market every day from around six in the morning until midday. There are no stalls, only a kind of tumbleweed mat laid out on the ground, each mat in its usual place. I gather there is also a rental fee to be paid to officials. Small market transactions are paid for with rice or other grain and Chinese goods. The ones next up in size are paid for with cloth. Large transactions are done with gold and silver. In years gone by local people were completely naïve, and when they saw a Chinese they treated him with great respect and awe, addressing him as a Buddha and falling prostrate and kowtowing when they saw him. Lately, though, as more Chinese have gone there, there have been people who have cheated and slighted them. What kind of products can you see in the marketplace? What does this tell you about the Khmer economy? 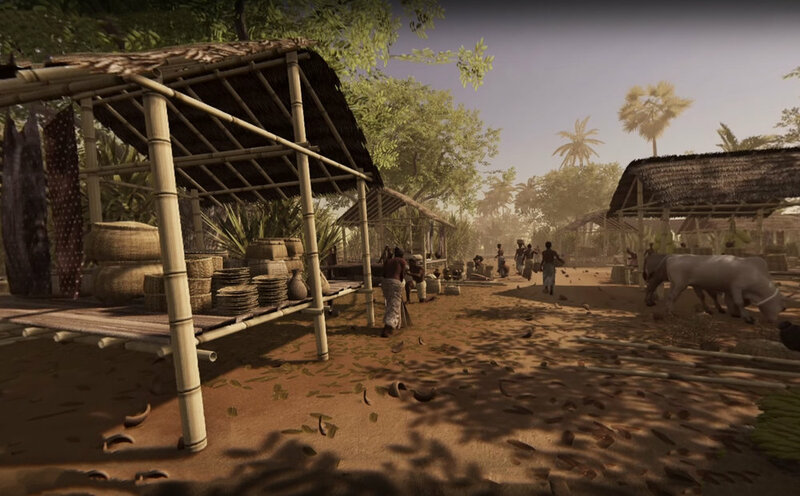 What was the Khmer Empire’s system of commerce? Did the Khmers have a form of currency? Who, according to Zhou Daguan, is actually facilitating trade in the Khmer economy? What does this tell you about us about the nature of Khmer society?